The Merindades is the northern most region (Comarca in Spanish, in the province of Burgos, which is, in turn, one of the nine provinces that make up the Autonomous Region of Castilla y León. The Merindades is divided up into 29 municipalities and the special feature of this area is that it is extremely diverse. Each municipality has its own specific villages, churches and beautiful scenery. 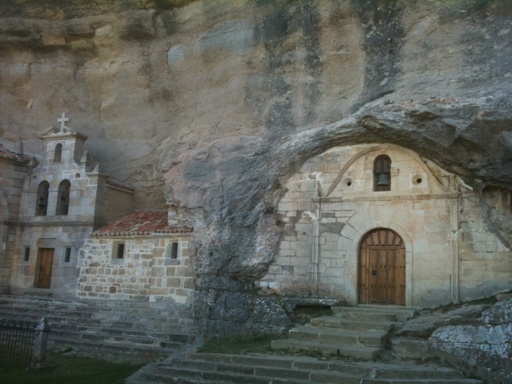 From the Merindades you also head off in all directions and visit the major cities in the province of Burgos and the adjoining regions of La Rioja, Cantabria and the Basque Country. The Municipality of Valle de Tobalina located in the south-east of the Merindades and is a beautiful valley to explore.Its 157 km2 are home to a mere 1,044 inhabitants, giving it a population density of 7 people/km2. This will give you a good idea of just how peaceful the area is. As we have already mentioned, Casa La Sonrisa is in Hedeso, one of the many small villages that make up the Valle deTobalina. For us it is a pleasure and priviledge to live here and our aim is to pass some of the enthusiasm we feel on to our guests! 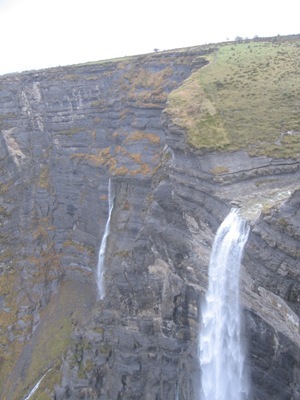 Visiting Frías is a "must" when spending any length of time in the Merindades. It is an old medieval town built on a steep and rocky outcrop. You'll find a very old bridge over the Ebro, streets with overhanging houses, all dominated by the picturesque ruins of a castle. Afternoon lunch in Frías is always a party, especially at the weekend when it is invariably busy and you can enjoy a fine home cooked three-coursed lunch for €15.00 complete with wine. "Monte Monumento Natural de Santiago" is a nature reserve in the east of the Merindades close to the Basque province of Alava. This beautiful hiking area has its own information center. The highlight of any visit is the impressive Salto de Nervión, a waterfall in the middle of a beautiful gorge with a drop of 300 meters, making this the highest falls anywhere in Spain. 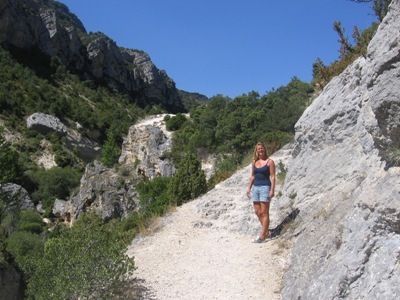 In the summer when the Nervión dries up it is great to walk along riverbed until you reach the edge of the falls. You can take beautiful walks, each with a fantastic view over the valley, and on a clear day you can see the villages in the distance and the herds of grazing sheep. This is also a perfect spot for vulture watching. These magnificent birds buidl their nests on the surrounding cliffs,above which they circle in groups. If you happen to be there in the spring, it's an amazing sight to see how they throw food to their young waiting in the nest. 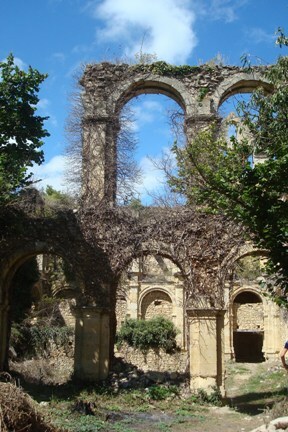 In the Valle de Manzanedo, another of the Merindades, is the ruined monasterio (monastery) de Rioseco. Hidden between the trees on the other side of the road running alongside the Ebro River, the site was tidied up in 2011 by a group of volunteers calling themselves "The Friends of Rioseco", who set about clearing paths, removing debris and making what is left of the building safe to visit. It is a wonderful place to roam about let your imagination take you back to ancient times. Ojo Guareña is Spain’s largest cave system. Its 14 caverns are connected by a hundred kilometers of tunnels. Only one small part of the system is open to the public. A guide is on hand to give you a tour that ends with a real surprise, a beautiful church hewn from the living rock and decorated with ancient frescoes of the life and suffering of Christ. This park is in a semi-circular valley surrounded by limestone ridges. One of its major attractions is the practice of commercial agriculture existing side-by-side with active nature conservation. Over the course of the centuries nature and rural life have merged in perfect harmony. A special feature of the park is the gorge formed by the Purón River with its forests of beech, pine and holm oak clinging to its precipitous slopes. The park is home to a large variety of animals such wild boar, squirrels, deer and the European eagle. But its most remarkable inhabitants are, without doubt, a colony of griffon vultures, said to be the largest in the whole of the Basque Country, which has become a symbol of the park. 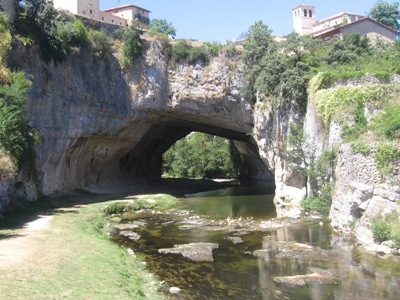 Puentedey, which means the Bridge of God, is a village you should not miss when holidaying in the Merindades. Albeit small, It's beautiful surroundings and very special "natural bridge" make it a place well worth the visit. On Sunday you can call in at the local bar and enjoy a plate of delicious “rabas” (deep-fried squid), which is traditionallly served on Sundays. 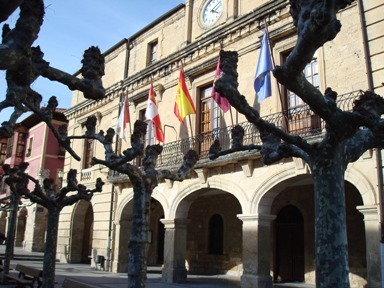 This historical town is the largest in the Merindades. Located some 85 kilometers from the city of Burgos and about 80 kilometers from Bilbao, its few medieval streets give it a special character. Don’t be put off by the outskirts which, as is the case of many Spanish town, can be offputting. Head straight for the old quarter, which was once protected by a double wall. Today all that is left is the innermost wall build in 14th century. The Arco de la Judería, which was the entrance to the Jewish Quarter, and Arco de la Cadena are the only two remaining medieval gates. This old city wall forms one side of the Church of Santa Cruz, built between the 12th and 15th centuries. The castle near the Plaza Mayor with its sturdy towers is called the Alcázar de los Condestables de Castilla. 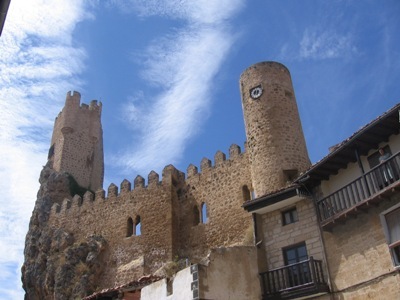 This 14th century castle now houses the Museum of the Merindades,which tells the history of the city and the region and contains documents, manuscripts, archaeological finds and other items. The convent of Santa Clara dates back to the same century. But the town has more to offer the visitor, such as the Monastery of Saint Peter, the Ermita de Nuestra Señora del Rosario and also a shady green park where you can picnic and swim. The population of Medina de Pomar doubles in the summer and is therefore always busy in July and August, especially in the plaza Somovilla where manyof the bars are. In early October the town honours its patron saint Nuestra Senora de Rosario with 10-day festival during which there is always plenty to do. Orbaneja del Castillo is not far from the Merindades. 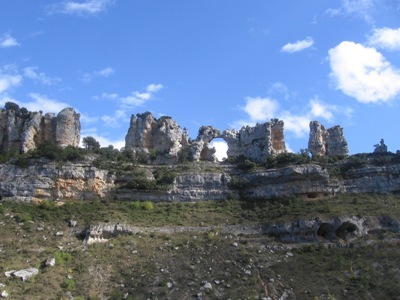 A beautiful route takes you to this pleasant village in the Valle de Sedano.Just outside the village you can see the sculptured rocks where the vultures build their nests and circle around. There are a number of restaurants and bars, a beautiful waterfall and a river flows right through the centre of the village. This village is one of the finest in the province of Burgos, with much of its charm being due to the beautiful cliffs rock formations that rise up from the left bank of the Ebro to form a spectacular narrow canyon.